Factory Sig Sauer P250/P320 Grip Module allows the shooter to tailor the pistol to meet their specific grip size requirements. 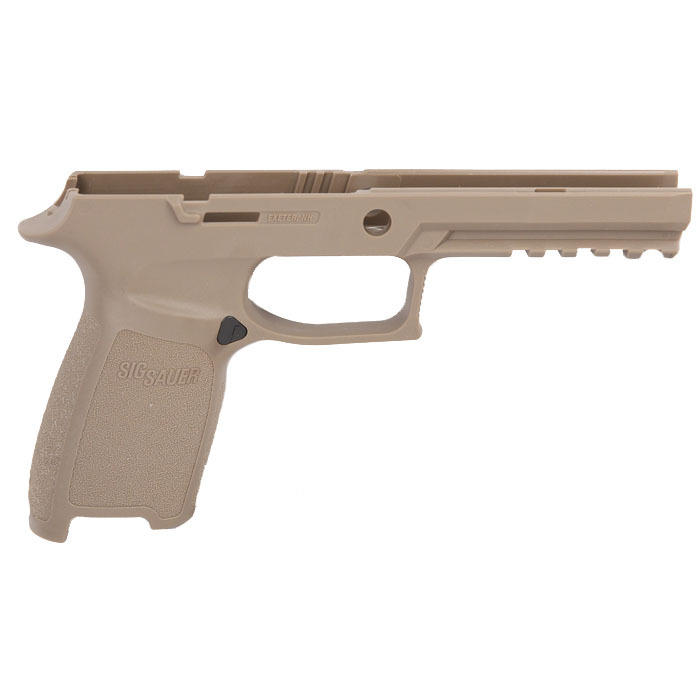 Flat Dark Earth polymer construction and comes with the magazine catch installed. This is the medium grip for the 9mm, .40S&W and .357SIG P250 and P320 Full Size.